Yes, are you waiting for today’s cricket match prediction of KTS Vs CC? You might be looking forward to know more about, who will win? Crix11 don’t believe in astrology prediction, we believe in research, data, and statistics. Hang on we will provide you all the details so that you can choose your best team for dream11 fantasy cricket league.Here you will get a detailed report so that you can make sure your best team wins 100% for sure. The best part is you will get everything for free. So let’s briefly talk about the highlights of the last match.Knights played their last match with Titans but they couldn’t finish the match being on the happier side. It was a small total of 133 which was easily chased but Titans. And the last match of Cape Cobras was washed out due to rain. 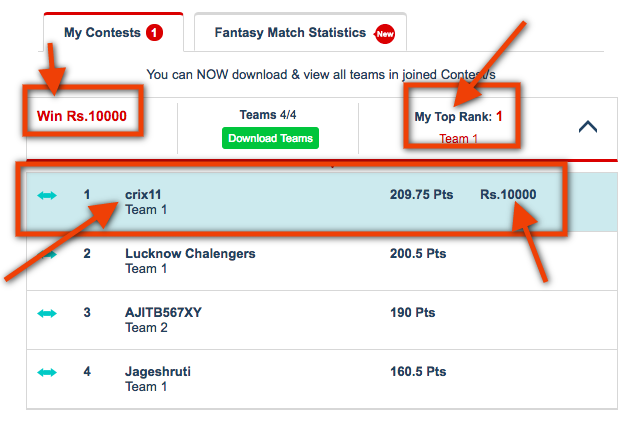 We know it was sad because crix11’s team was also playing in dream11 fantasy cricket league and we were pretty sure that we would have won that match as our cricket match prediction is almost 100% accurate. Now let’s talk about the match ……..
Who Will Win Today’s Match Between Knights Vs Cape Cobras? Match: KNG vs COB, 24th Match, CSA T20 Challenge, 2017. Date: Wednesday, December 06, 2017. Diamond Oval is also called De Beers Country Club. Only International T20 Played here was on Oct 10, 2010, between South Africa and Zimbabwe. Proteas made 194/6 and they had easily defended the total. The pitch of Diamond Oval, Kimberley is batting friendly and both the team will love to bat first. Keegan Petersen only played 2 matches in this tournament but he has scored 57 runs. He scored 55 and 2 runs in his last 2 innings. He got the opportunity to open for knights. He is a batting all-rounder. Petersen is a right-handed batsman. And sometimes he also contributes with bowling. He is right-arm leg break bowler. He is selected by almost 61% of teams in dream11 fantasy cricket league. Qaasim Adams has not contributed much till now but he has the potential. He scored 31 runs in 3 matches. He scored 0, 8, and 23 in his last 3 innings. He is a batting all-rounder and is a left-handed batsman. 15% of teams have selected him in their teams till now. Rudi Second played only 2 matches in this series. His scored 7 and 2 runs in his last innings. Note: You can select anyone from the above list for your dream11 team. Hashim Amla has scored 263 runs in 7 matches. He scored 52, 36, 12, 42, 29, 52, and 40 in his last 7 innings. He is selected by 93% of the teams. He is one of the best choices for captain. David Miller is such an explosive player in T20. 89 % of the teams have selected him. He scored 218 runs in 6 matches. He scored 62, 8, 48, 50, 7, and 43 in his last 6 innings In RamSlam T20 Challenge. You can choose him as a captain or vice-captain. Theunis de Bruyn has scored 185 runs in 6 matches. He scored 78, 22, 22, 40, 18, and 5 in his last 6 innings. He is a top order batsman so he is a good choice as he will get more chance to bat. 86% teams have selected him in their playing11. Temba Bavuma is a top order batsman. He plays for Cape Cobras. 61% of the teams have selected him. He scored 114 runs in 7 matches. He scored 6, 28, 27, 2, 6 42, and 3 in his last 7 innings in CSA T20 challenge. Grant Mokoena opens for knights. He scored 94 runs in 5 matches. He scored 9, 21, 20, 13 and 31 in his last 5 innings. 41 % of the teams have selected him. Note: Take all 5 players as this pitch is batting pitch. Jean-Paul Duminy has scored 308 runs and took 1 wicket 7 matches. He scored 1, 55, 40, 54, 67, 6, and 85 in his last 7 innings. 89% of the teams have selected him. He is one of the best captains to select in your team for the fantasy league. Last time he played in this stadium he scored 96 runs against Zimbabwe in 2010. 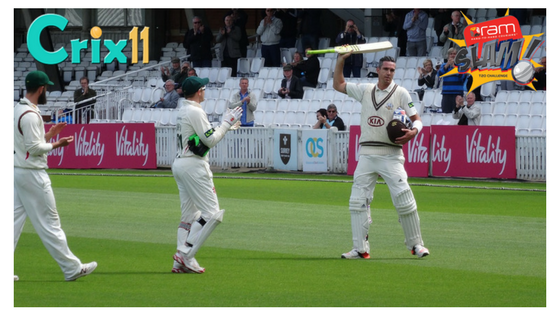 Ryan McLaren has scored 94 runs and took 2 wickets in 5 matches. 77% of the teams have selected him. Note: Try to take Shadley van Schalkwyk on your team as he scored 16 runs and took 7 wickets. Keep Marchant de Lange in your team as he scored 32 runs and 5 wickets in last innings. Take Rory Kleinveldt as a third bowler as he scored 10 runs and took 6 wickets. Crix11 expert says Cape Cobras will win the match as their team is better and they have better players who have a good amount of experience in international cricket. According to astrology’s prediction of toss CC(Cape Cobras) will win the match and they will decide to bat as this is a batting pitch. Note: If you want to win every match then try to play in small league. Conclusion: This is what crix11 have in Today’s cricket match prediction of KTS Vs CC. Now it’s your turn. What do you say who will win? Post your thought in the comment section. If you have any questions you can ask us. Give your expert view, tips, and tricks in the comment section so that everyone can get help from that. WHERE IS 2ND AND 3RD TEAM? I am still updating. Please make your own teams from the list of players. It will increase your chance of winning.